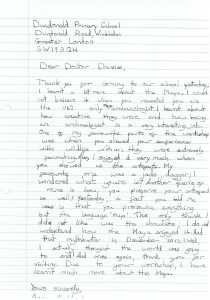 Thank you to all children for sending me these wonderful thank-you letters and comments! 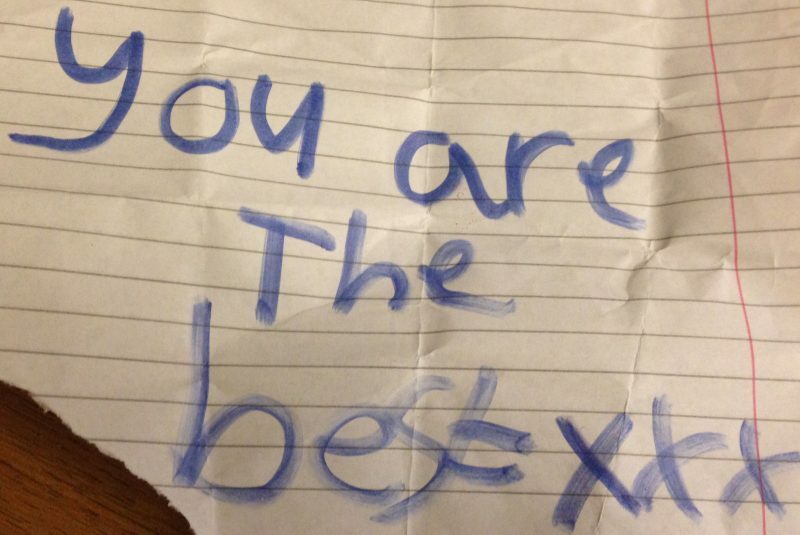 Found in my bag after giving a workshop to Year 5 at Torriano School, London! You have really inspired me to be an archaeologist, along with my friend Simon, so THANK YOU!!!!! 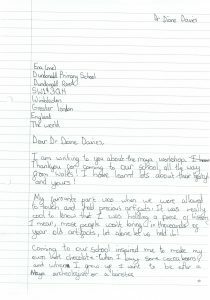 Hi Diane on Tuesday the 29th of February you came to my school I loved that you came and helped us make Maya calendars. I really enjoyed your visit, I miss you, you made learning really fun thank you! Thank you for coming to the school, I loved it. I'm the boy who told you that I was inspired to be an archaeologist. Once again thank you for coming to the school, it's probably the best experience so far in Year 5! Thank you for teaching us all about the Maya and I think I want to be a Maya archaeologist! You've been to my school today and I enjoyed it, also learnt a lot 🙂 thank you! I am from Donhead Preparatory School and I liked your workshop today a lot. Thank you very much! 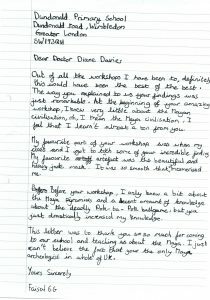 Hi Dr Diane Davies, it is an absolute pleasure to write to you. If you remember, you visited our school yesterday-Thursday-West Park Primary, and your inspiration to be an archaeologist really determined me to be one. I really enjoyed the day - I learn a lot about the Maya. I hope we meet again! I set up the assembly and lights for you Monday the 2nd of October at Mapperley plains primary school. 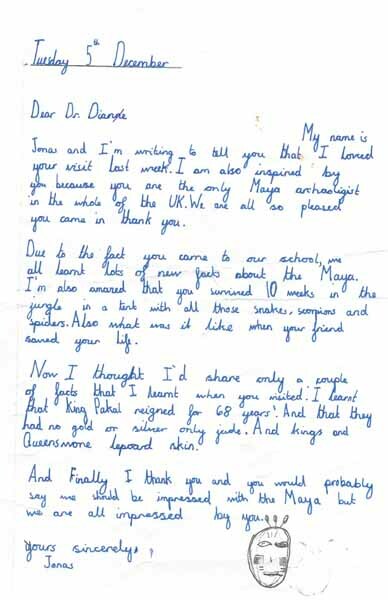 I am writing to say that I really enjoyed learning about the Maya and touching their artifacts. It was so much fun. You taught me so much: thank you! Hi Doctor Davies! Thank you for coming to see are school and thank you for letting me were those Maya clothes. I love the presentation and facts they were great and I learned a lot of things thanks. By the way I LOVED your visit!!!!!!! When other people learn the Maya they’ll be fascinated!!!! Thank you so so much that you visited our school and I am so lucky that I met the most famous Maya expert. I love how brave you are to go into the rainforest with just a few other people, you are my inspiration! Thank for visiting our school we really appreciate it. We would also like to know whether you could visit our school again. thank you very much. Thank you, Dr Diane, for coming in to tell us about Maya people and how you discovered facts about their culture and what you found there. For example, their kings always had jaguar skin with them because it represents power and how the howler monkeys woke you up at 5 am in Guatemala. Also, when it rains it takes 30 hours to get to the closest village. We hope you enjoy reading our diary entries, about what it would be like to live in the jungle like you. We all really enjoyed you coming to teach us all about the jungle. From Class 6, Lympstone Primary School, Devon. Hi Doctor Davies! Thank you for visiting our school and giving us a wonderful day. Thank you for coming to our school I really enjoyed it and the assembly was great! “This morning was epic! A real archaeologist came to us and year five! Did you know she is the only British Maya archaeologist in the UK! We went into the hall where everything was set out and we learnt about all of the adventures she has had. Her name was Dr Diane Davies. 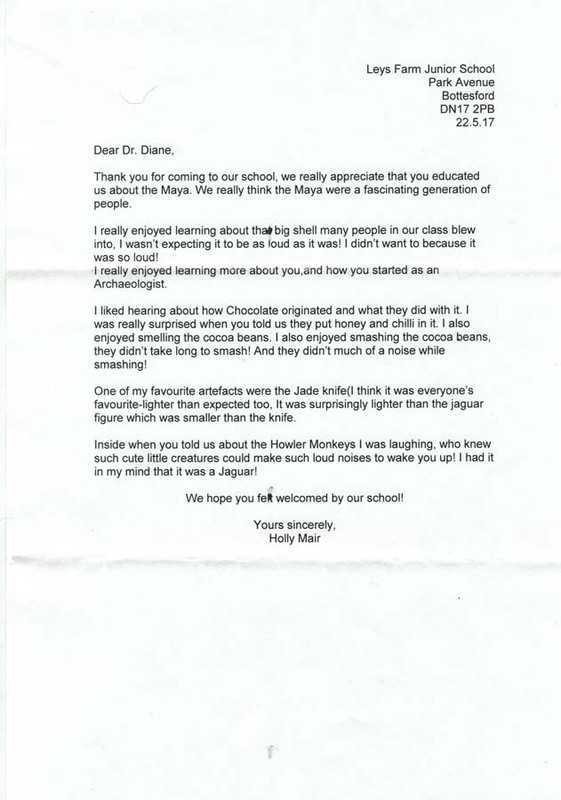 Firstly she told us all about the architecture/artefacts she has gathered which are related to the Maya. She has found pieces of pottery, Maya tools and loads more! Disturbingly, she had to spend three months at a time in the jungle, but eight years in total. This was where she found all the artefacts. There was a huge site, which Dr Davies excavated at San Bartolo. Using trowels, pick axes and normal brushes to break stone, brush dust and dig in soil. Secondly she gave us extra information about the Maya and how they lived. The jungle was the hardest place to live. Even the Maya knew that BUT they still chose that area! Hard-core aren’t they? You think that the jungle is a nice place to live with all the wildlife and plants. Think again!! The jungle is a hard place to live in. Thank you so much for coming to our school to teach us about the maya people you have taught us alot and were so greatful! Thank you for teachings us now we have a lot of knowledge of Mayans. Archaeologists are awesome! I really liked learning about the Mayans, the artefacts were cool. 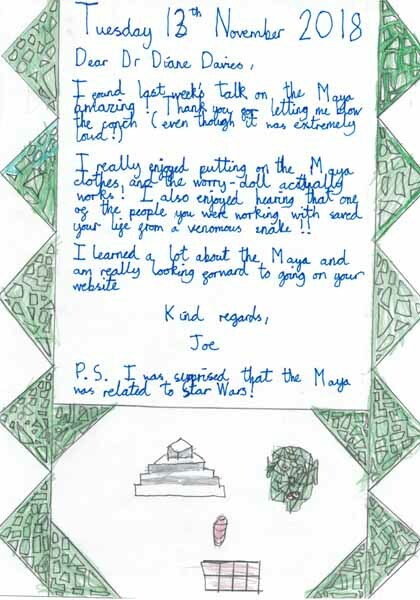 From Ben Herbert class 4SH – Owston Park Primary Academy. I loved the talk that you gave us! It was very interesting and I am now very interested in the Maya! !